Highly rugged HD+ phablet, it is dustproof and waterproof rated IP68. It has 4G FDD-LTE connectivity, a fingerprint sensor, face ID recognition and dual SIM capability. It comes with a 5.7-inch capacitive multi-touch (5 points) display with a HD+ resolution (1440 x 720) with 18:9 ratio. On the inside, it runs with Android Nougat (7.1) on a 64 bits Octa-core 2.5 GHz Helio P25 processor, 6 GB of RAM, 64 GB of internal storage and a 128 GB microSD card slot. It sports a 16MP+5MP (sw: 21MP+5MP) autofocus camera (Front 8MP sw: 13MP), a LED flash and video 1080p. GPS/Glonass receiver, FM receiver, G-sensor, geomagnetic sensor, gyroscope, fingerprint sensor and Face ID recognition. Connectivity WiFi b/g/n Dual Band (2.5GHz/5GHz), BT4.2, OTG, USB Type C, 4G FDD-LTE, 9V/2A Quick Charge and hybrid dual nano Sim (nano SIM + nano SIM\microSD). It measures 168.8 x 81.9 x 13.9 mm, it weighs 276.5 g and its built-in battery has a capacity of 5,200 mAh. Highly rugged affordable slim HD smartphone convenient for both men and women. It is dustproof and waterproof rated IP68 & MIL-STD-810G. It is compatible with 4G FDD-LTE & TDD-LTE data networks, it has dual SIM capability and a Face ID unlock feature. It comes with a 5.0-inch capacitive multi-touch Gorilla Glass 3 IPS display with a HD resolution of 1280 x 720. On the inside, it runs with Android Nougat (7.0) on a 64bit 1.5GHz MTK6737T Quad-Core processor, 2 GB of RAM, 16 GB of internal storage and a microSD card slot up to 32 GB. It sports a 8MP autofocus camera (Front: 5MP) with a LED flash. GPS/Glonass receiver, FM receiver, G-sensor, geomagnetic sensor and Face ID unlock feature. Connectivity WiFi b/g/n 2.4 GHz, BT4.0, OTG, 4G FDD-LTE & TDD-LTE, Fast charging and Dual hybrid nano SIM (nano SIM + nano SIM/microSD). It measures 143.8 x 73.4 x 10.3 mm, it weighs 322g and its built-in battery has a capacity of 3,000 mAh. 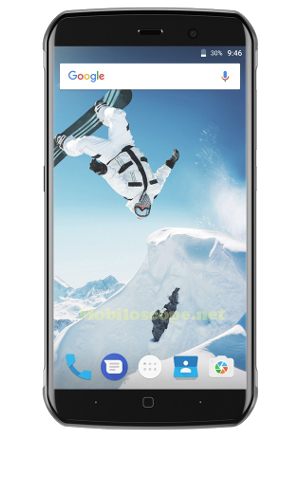 Lightened version of the Doogee S60 with less memory and a less powerfull Octa-core processor. 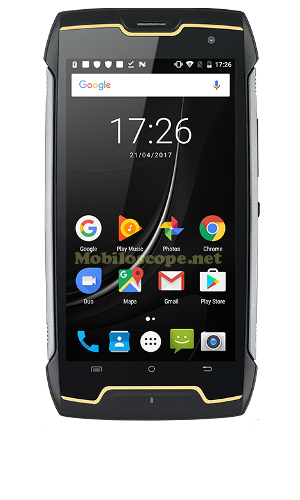 It's a highly rugged Full HD smartphone with a strong metal body, it is dustproof and waterproof rated IP68. It has 4G LTE connectivity, dual SIM capability. It comes with a 5.2-inch capacitive multi-touch IPS Gorilla Glass 5 display with a FHD resolution (1920 x 1080). On the inside, it runs with Android Nougat (7.0) on a 64 bits 1.5GHz Octa-core MT6750T processor, 4 GB of RAM, 32 GB of internal storage and a 128 GB microSD card slot . 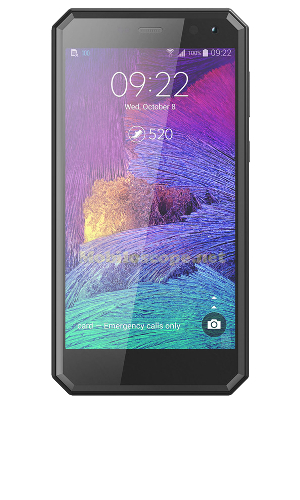 It sports a 16MP autofocus OIS camera (Front 8MP), a Dual color flash LED and video 1080p. GPS/Glonass receiver, FM receiver, G-sensor, gyroscope, magnetometer, barometer and Coulomb-meter. Connectivity WiFi b/g/n, BT4.0, NFC, OTG, 4G LTE, Fast charging 12V/2A, Wireless charging and a dual micro Sim. 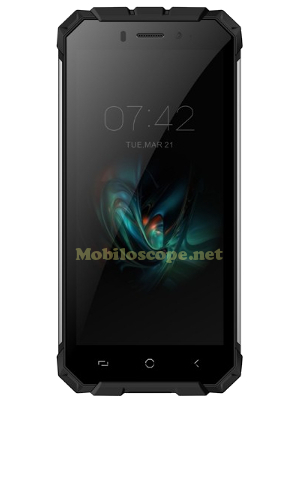 It measures 164.0 x 81.0 x 15.5 mm, it weighs 291g and its built-in battery has a capacity of 5,580 mAh. Highly rugged HD+ phablet, it is dustproof and waterproof rated IP68 (1.5 meters for 24 hours). It has 4G LTE connectivity, a fingerprint sensor and dual SIM capability. It comes with a 5.7-inch capacitive multi-touch IPS display with a HD+ resolution (1440 x 720) with 18:9 ratio. On the inside, it runs with Android Nougat (7.1) on a 64 bits Octa-core 2.5 GHz Helio P23 processor, 6 GB of RAM, 64/128 GB of internal storage and a 128 GB microSD card slot . It sports a 16MP+13MP autofocus camera (Front 16MP+8MP), a LED flash and video 1080p. GPS/Glonass receiver, FM receiver, G-sensor, compass, gyroscope, fingerprint sensor and Face ID recognition. Connectivity WiFi b/g/n, BT4.0, OTG, 4G LTE and hybrid dual nano Sim (nano SIM + nano SIM\microSD). 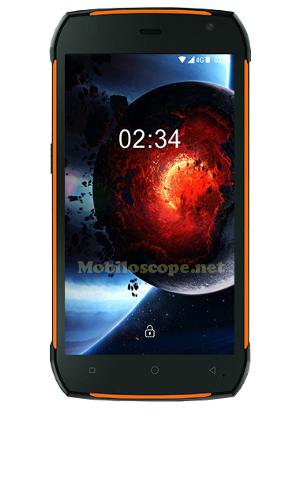 It measures 163.9 x 79.8 x 13.3 mm, it weighs 250 g and its built-in battery has a capacity of 5,180 mAh. Highly rugged smartphone with a Full HD display and compatible with 4G LTE data networks. It is dustproof and waterproof rated IP68 (up to 3 meters for 60 mn) and compliant to the US Military Standard 810G (MIL-STD-810G). It is built to withstand a fall of up to 1.8 meter on concrete. It has dual SIM capability (optional). It sports a FLIR thermal camera, an indoor air quality sensor and a laser-assisted measurement tool. It comes with a 5.2-inch multi-touch capacitive Gorilla Glass 5 display with a FHD resolution (1920 x 1080). It supports touch operation using gloves or wet fingers. On the inside, it runs with Android Oreo (8.0) on a 2.2 GHz octa-core processor Qualcomm Snapdragon 630 (SDM630), 4 GB of RAM, 64 GB of internal storage and a dedicated microSD card slot up to 256 GB. It sports a 16 MP autofocus camera with a dual-LED flash (Front 8 MP) and video 2160p@30fps. GPS/Glonass/Galileo/QZSS receiver, FM radio, accelerometer, digital compass, barometer, SOS button, indoor air quality sensor, laser-assisted measurement tool and FLIR thermal camera (Lepton module). Connectivity WiFi b/g/n, NFC, 4G LTE, BT 5.0, USB 2.0 Type C 1.0, Quick Charge 4.0 and Dual nano-SIM (optional). It measures 150 x 76 x 13 mm and its built-in battery has a capacity of 4,500mAh. Highly rugged affordable HD+ smartphone. It is dustproof and waterproof rated IP68 (1.5 meters for 1.5 hours). It can withstand drops of up to 1.2 meters. It is compatible with 4G FDD-LTE data networks, it has dual SIM capability, Face ID recognition and a side-mounted fingerprint sensor. On the inside, it runs with Android Oreo (8.1) on a 64-bit 1.5 GHz MTK6739 Quad-Core processor, 2 GB of RAM, 16 GB of internal storage and a microSD card slot up to 256 GB. It sports a Dual Back 13MP + 5MP autofocus camera (Front: 8MP) with a Dual LED flash and video 1080p. Connectivity WiFi b/g/n Dual Band 2.4GHz/5GHz, BT4.1, OTG, NFC, Qi Wireless Charging, 4G FDD-LTE and hybrid Dual nano SIM. 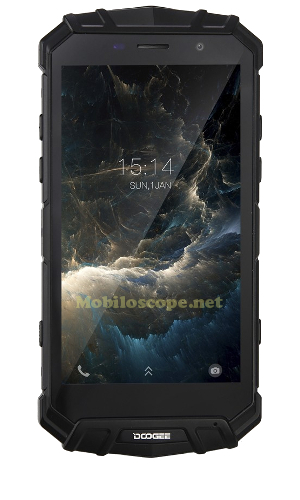 Highly rugged HD smartphone, it is dustproof and waterproof rated IP68. It has 4G FDD-LTE connectivity and dual SIM capability. It comes with a 5.0-inch multi-points (5 points) IPS capacitive touch screen with a HD resolution of 1280 x 720. On the inside, it runs with Android Nougat (7.0) on a 1.5 GHz Octa-Core processor MTK6753, 3 GB of RAM, 32 GB of internal storage and a microSD card slot up to 64 GB. It sports a 13MP camera (Front 8MP) with a LED flash and video. GPS\Glonass\Beidou receiver, FM radio, accelerometer, magnetometer, gyroscope and G-Sensor. Connectivity WiFi b/g/n, BT4.0, 4G FDD-LTE and Dual-Sim capability. It measures 145.9 x 75.9 x 11.3 mm, it weighs 165g and its built-in battery has a capacity of 2,700 mAh. Highly rugged affordable HD smartphone. It is dustproof and waterproof rated IP68 (1.5 meters for 30 mn). It is compatible with 4G LTE data networks, it has dual SIM capability. On the inside, it runs with Android Nougat (7.0) on a 1.5GHz MTK6737T Quad-Core processor, 2 GB of RAM, 16 GB of internal storage and a microSD card slot up to 64 GB. It sports a 8MP autofocus camera (Front: 5MP) with a LED flash and video 720p@30fps. GPS receiver, FM receiver, accelerometer and compass. Connectivity WiFi b/g/n, BT4.0, 4G LTE and Dual SIM. It measures 146 x 74.8 x 13.9 mm, it weighs 206g and its built-in battery has a capacity of 4,300 mAh. 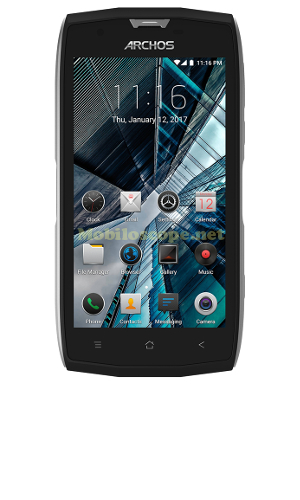 Highly rugged 3G smartphone, it is dustproof and waterproof rated IP68. It has dual SIM capability. It comes with a 5.0-inch capacitive IPS display with a HD resolution (1280 x 720). On the inside, it runs with Android Nougat (7.0) on a 1.3 GHz Quad-core processor MT6580, 2 GB of RAM, 16 GB of internal storage and a microSD card slot up to 64GB. It sports a 13MP autofocus camera (Front 8MP) with a flash. GPS receiver, FM receiver and G-sensor and a magnetometer. Connectivity WiFi b/g/n 2.4GHz, BT4.0 and a dual-Sim (micro SIM). 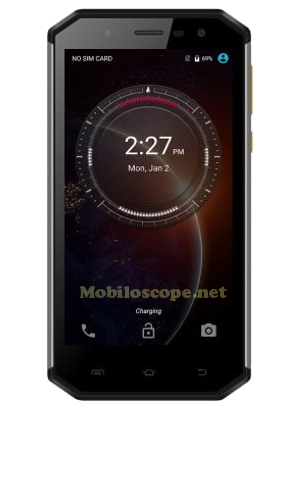 It measures 153 x 80.2 x 14.9 mm, it weighs 247g and its built-in battery has a capacity of 4,400 mAh. 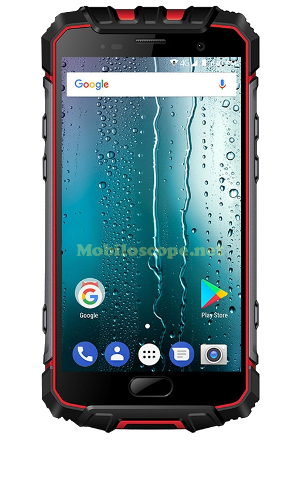 Lightened version of the Armor 2, it is a highly rugged Full HD smartphone, it is dustproof and waterproof rated IP68 (1.5 meter for an hour). It has 4G TDD-LTE & FDD-LTE connectivity, dual SIM capability and a fingerprint sensor. It comes with a 5.0-inch capacitive multi-touch (5 points) IPS display with a FHD resolution (1920 x 1080). On the inside, it runs with Android Nougat (7.0) on a 64-bit 1.5GHz Quad-core MTK6737T processor, 2 GB of RAM, 16 GB of internal storage and a 256 GB microSD card slot . It sports a 13MP autofocus camera (Front 5MP - sw: 8MP), a double flash LED and video 1080p@60fps. GPS/Glonass receiver, FM receiver, G-sensor, Gyroscope, magnetometer, barometer and a fingerprint sensor, coulombmeter and PTT & SOS buttons. Connectivity WiFi b/g/n, BT4.1, NFC, OTG, 4G TDD-LTE & FDD-LTE, Micro USB Type-C, 9V/2A Fast Charging and a dual nano Sim. It measures 159.0 x 78.3 x 14.5 mm, it weighs 270g and its built-in battery has a capacity of 4,700 mAh. Highly rugged affordable HD smartphone. It is dustproof and waterproof rated IP68. It is compatible with 4G LTE data networks, it has dual SIM capability and a fingerprint sensor. 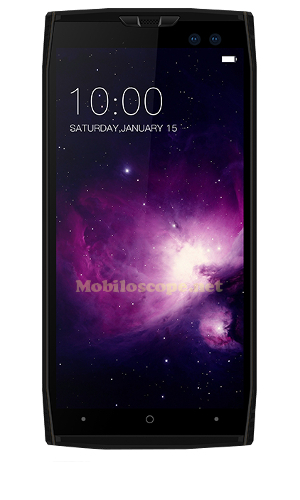 It comes with a 5.0-inch capacitive multi-touch (5 points) Gorilla Glass 3 display with a HD resolution of 1280 x 720. It can be operated using gloves. On the inside, it runs with Android Nougat (7.0) on a 64-bit 1.3GHz MT6737T Quad-Core processor, 3 GB of RAM, 32 GB of internal storage and a microSD card slot up to 128 GB. It sports a 13MP autofocus camera (Front: 5MP) with a Dual LED flash and video. GPS/Glonass/Beidou receiver, FM receiver, accelerometer, compass and fingerprint scanner. Connectivity WiFi b/g/n, BT4.0, 4G FDD-LTE & TDD-LTE, NFC, OTG and a hybrid Dual SIM (nano SIM, nano SIM/microSD). It measures 147 x 78 x 11 mm, it weighs 202g and its built-in battery has a capacity of 3,300 mAh. Highly rugged smartphone with a Full HD display, 4G LTE connectivity and a fingerprint scanner. It is dustproof and waterproof rated IP68. It has dual SIM capability. It comes with a 5.0-inch Corning Gorilla 4 capacitive multi-touch (5 points) IPS display with a FHD resolution of 1920 x 1080. 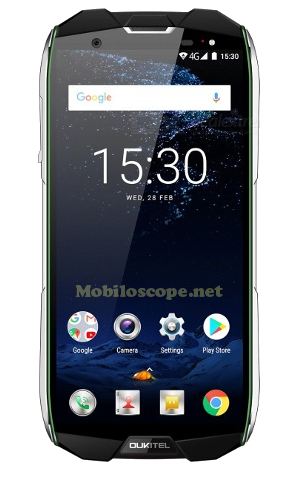 On the inside, it runs with Android Nougat (7.0) on a 64-Bit 4x2.5GHz+4x1.6GHz Octa-Core processor MT6757CD Helio P25, 6 GB of RAM, 64 or 128 GB of internal storage and a microSD card slot up to 128 GB. It sports a 16MP camera (Front 13MP) with a Dual LED flash and video (1080p@30fps). GPS/BDS/Glonass receiver, FM radio, accelerometer, e-compass, G-sensor, gyroscope, pressure sensor, fingerprint sensor and SOS & PTT buttons. Connectivity WiFi b/g/n/ac Dual-Band, 4G FDD-LTE & TDD-LTE, BT4.0 LE, NFC, OTG, USB Type-C & magnetic charging and dual-Sim (nano SIM). It measures 163 x 83 x 16 mm, it weighs 334 g and its built-in battery has a capacity of 7,000 mAh. Highly rugged affordable HD smartphone. It is dustproof and waterproof rated IP68 (1.5 meters for 30 mn). It is compatible with 4G FDD-LTE data networks, it has dual SIM capability and a fingerprint sensor. It comes with a 5.0-inch capacitive multi-touch Gorilla Glass 4 IPS display with a HD resolution of 1280 x 720. On the inside, it runs with Android Nougat (7.0) on a 64bits 1.3GHz MTK6753 Octa-Core processor, 3 GB of RAM, 32 GB of internal storage and a microSD card slot up to 128 GB. It sports a 13MP autofocus camera (Front: 5MP) with a LED flash and video 1080p@30fps. GPS/Glonass/Beidou receiver, FM receiver, accelerometer, compass, fingerprint scanner and PTT button. Connectivity WiFi b/g/n, BT4.0, 4G FDD-LTE, OTG, 5V/2A Fast charging and a hybrid Dual SIM (nano SIM, nano SIM/microSD). It measures 147 x 73.5 x 14.2 mm, it weighs 212g and its built-in battery has a capacity of 5,000 mAh. 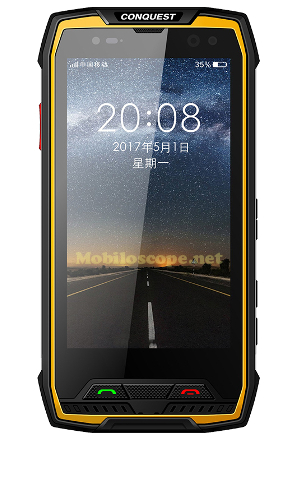 Highly rugged Full HD smartphone, it is dustproof and waterproof rated IP68 (1 meter for more than 30 mn). It is built to withstand a drop of 1 meter. 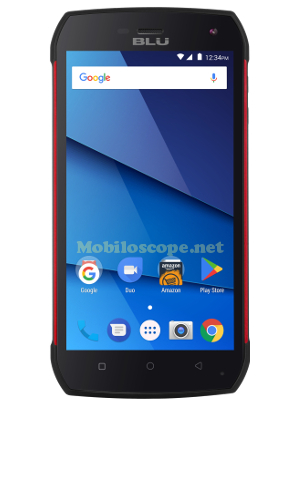 It is compatible with 4G LTE data networks and has dual SIM capability. It comes with a 5.0-inch capacitive Gorilla Glass 3 IPS display with a FHD resolution of 1920 x 1080. On the inside, it runs with Android Nougat (7.0) on a 1.5 GHz MT6737T Quad-Core processor, 3 GB of RAM, 32 GB of internal storage and a microSD card slot up to 64 GB. It sports a 8MP (sw 13MP) autofocus camera (Front: 5MP - sw 8MP) with a Dual LED flash and video 1080p@30fps. GPS receiver, FM receiver, G-Sensor, gyroscope and compass. Connectivity WiFi b/g/n, BT4.0, 4G LTE, USB Type-C, NFC, OTG, 5V/2A Fast charging and a Dual SIM (micro SIM + nano SIM). It measures 153.0 x 78.9 x 12.6 mm, it weighs 223g and its built-in battery has a capacity of 3,500mAh. 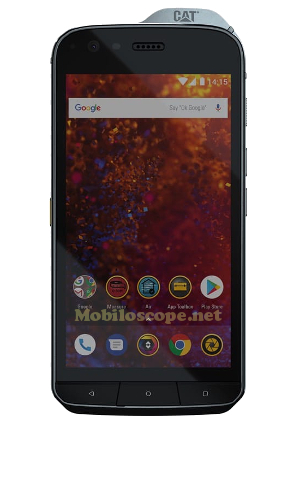 Highly rugged Full HD phablet, it is dustproof and waterproof rated IP68 (1.5 meters for 30 mn) & MIL-STD-810G, It is light and slim with a kevlar back case. It is built to withstand a drop of up to 1.5 meters and can operate at temperatures between -30°C and +60°C. It has 4G LTE connectivity, a fingerprint sensor and dual SIM capability. It comes with a 5.5-inch capacitive multi-touch IPS display with a FHD resolution (1920 x 1080). On the inside, it runs with Android Nougat (7.0) on a 64 bits Octa-core 2.39 GHz Helio P25 processor, 6 GB of RAM, 128 GB of internal storage and a 128 GB microSD card slot . It sports a 16MP autofocus camera (Front 8MP), a LED flash and video 1080p@30fps. GPS/Glonass receiver, G-sensor, compass, gyroscope and a fingerprint sensor. Connectivity WiFi b/g/n Dual Band, BT5.0, OTG, USB Type-C, NFC, 4G LTE, 9V/2A Fast Charging and hydrid dual nano Sim (1 SIM + 1 SIM/SD card). It measures 156.7 x 80 x 11.2 mm, it weighs 198 g and its built-in battery has a capacity of 4,200 mAh.